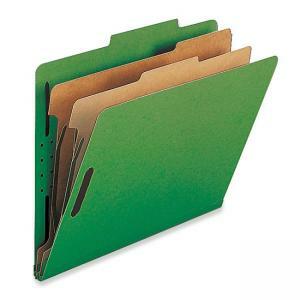 Use classification folders to subdivide or organize documents. 2" embedded fasteners are located on the front and back panels and the two dividers. Covers are made of 25 point stock. Folders contain 30 percent post-consumer material.